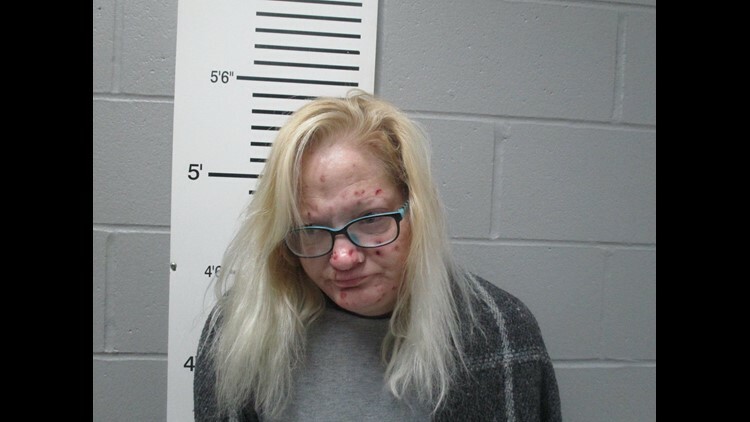 Carol Ballweg, 46, has been charged with four felony counts of stealing a controlled substance and two misdemeanor counts of abusing an elderly, disabled or vulnerable person, according to online court records. Police say she took her terminally ill daughter's pain medication for herself. A Missouri woman failed to give her dying daughter pain medications and instead took the meds herself, according to charges announced Wednesday by the Troy Police Department. The charges come after medical staff raised repeated concerns about Ballweg's terminally ill daughter, who was receiving hospice care and prescribed Fentanyl and oxycodone for pain. Ballweg was her daughter's primary caregiver. Ballweg had a history of requesting her daughter's medications be filled sooner than should have been necessary, police say. When a doctor ordered a test of the patient's urine, no trace of the pain medication was found, the release said. Staff also found that the patient had bedsores, according to police. Sept. 11: Naloxone can reverse opioid overdoses, but does the drug belong in elementary schools? Column: The opioid crisis hits home. Mine. After police searched Ballweg’s home on Tuesday, she admitted to having an opioid addiction and taking her daughter's oxycodone medication and using it herself, the release says. Ballweg’s bond has been set at $100,000 cash, with the condition that she have no contact with the victim. No attorney is listed for Ballweg in online court records. Contributing: KSDK-TV, St. Louis; The Associated Press. Iranian victims of the earthquake mourn and try to get closer to the body of a relative around the wreckage of their home in Pole-Zahab, Iran on Nov. 13, 2017. A 7.2 magnitude earthquake that struck Iran's Kermanshah province bordering Iraq has killed over 328 inhabitants and left at least another 3,950 injured, Iranian authorities said. President Trump, center, reacts as he does the "ASEAN-way handshake" with Vietnamese President Tran Dai Quang, left, and Philippine President Rodrigo Duterte on stage during the opening ceremony at the ASEAN Summit at the Cultural Center of the Philippines, Nov. 13, 2017, in Manila, Philippines. Trump initially did the handshake incorrectly. Trump is on a five-country trip through Asia traveling to Japan, South Korea, China, Vietnam and the Philippines. Police hose down protesters as they try to march to the venue of the Association of Southeast Asian Nations (ASEAN) Summit in Manila on Nov 13, 2017, where President Trump is attending. World leaders are in the Philippines' capital for two days of summits. (From L) Mayor of Paris Anne Hidalgo, French President Emmanuel Macron, his wife Brigitte Macron, former French President Francois Hollande and former Interior Minister Bernard Cazeneuve release balloons at Paris 11th district town hall on Nov. 13, 2017, during a ceremony marking the second anniversary of the Paris attacks of November 2015 in which 130 people were killed. France on Nov. 13, 2017 marks two years since its worst ever terror attacks, when jihadists killed 130 people in Paris and injured hundreds of others. Indian schoolgirls are covered in a sheet in an effort to protect themselves from heavy smog as they are driven to school on a scooter after three days off due to the air pollution in Amritsar on Nov. 13, 2017. Large swathes of north India and Pakistan see a spike in pollution at the onset of winter due to crop burning and the fact that cooler air traps particulates close to the ground, preventing them from dispersing -- a phenomenon known as inversion. This general picture taken by a drone camera shows Indonesian officers from Nature Conservation Agency (BKSDA) and environmental activists trying to refloat nine stranded sperm whales in Banda Aceh on Nov. 13, 2017. Pakistan Coast Guards officials throw bottles of liquor before crushing them on the outskirts of Karachi on Nov. 13, 2017. The Pakistan Coast Guards, one of the drug control agency, destroyed hundreds of illicit liquor bottles and drugs smuggled into the country. An Afghan laborer unloads a sack of coal from a truck at a coal yard in Kabul on Nov. 13, 2017. A nordic walker passes an alley of trees near the village of Marktoberdorf, Germany, after a first onset of winter in Bavaria with temperatures near the freezing point on Nov. 13, 2017.